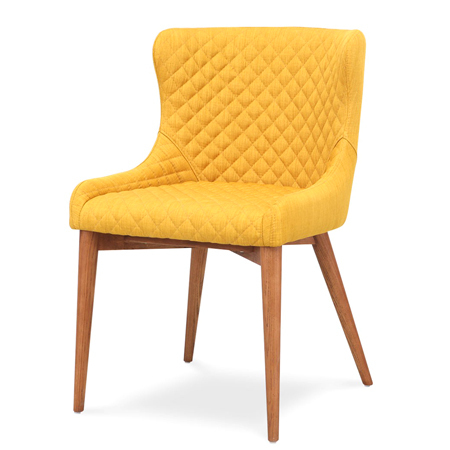 The Roselyn chair is elegant and has brilliant visual impact. Its solid wood legs and fully upholstered seat and back only add to its beauty. This chair also has cross stitching details on the inside making it stunning from every angle. the roselyn can be used as either a study chair or dining chair.